Meet friends or go to work on your computer, nice cup of coffee or tea, sandwich, salad, or pastry, and you can enjoy a great atmosphere working or just taking time to chat with a friend. grab a sandwich before heading to the airport! Really enjoyed the coffee and cakes here. It was awesome. The sitting place was clean, comfortable. The restaurant staff was pleasant. Would visit here again. Nice selection of breakfast options, from egg, bacon, sausage and cheese sandwich to oatmeal with fruit - but for a business meeting it was ideal as it had free wi-fi and excellent coffee! 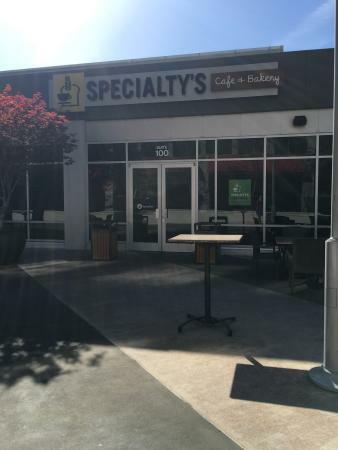 Get quick answers from Specialty's Cafe & Bakery staff and past visitors.